If you've got an eye exam coming up, there are ways to be extra ready for it. There are a few things you should let us know about to help make sure your exam is a useful one. Because your eyes can be affected by seemingly unrelated changes to your health, it's important that you inform us of any changes in your body you might be aware of. This includes diabetes, pregnancy, high blood pressure or allergies. Do you take any medication? If so, we will need to know what you're taking, because drugs, even if they're non-prescription, can also have an effect on your eyes. Things like drinking or smoking can have a poor effect on eyesight, so if these are parts of your lifestyle, keep us informed. Tell us how you use your eyes. Do you work in a factory, or do you work in an office? 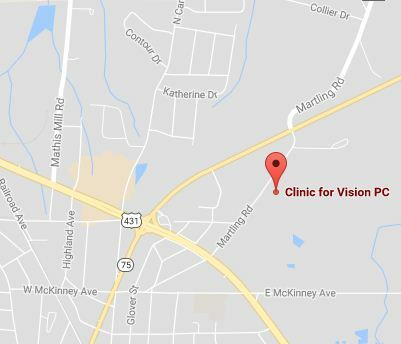 Being aware of these details will really make it simpler for us to choose your vision correction needs. And if there are any eye diseases that effect anyone in your family, you should inform us, because several of them are hereditary. Being aware of which eye diseases you may be prone to can make it simpler for us to keep an eye out for and keep track of any warning signs. Warning signs include changes to your vision like double vision, seeing spots or flashes of light, and blurriness. If you begin to experience any of these, call us as soon as you can. We'll then do our very best to discover what's causing the symptom, and figure out the best possible treatment. It's also helpful if you bring your glasses along to your appointment. Glasses give important information, even if you wear contact lenses. Together, we will find out the most efficient way to tend to all your vision needs.